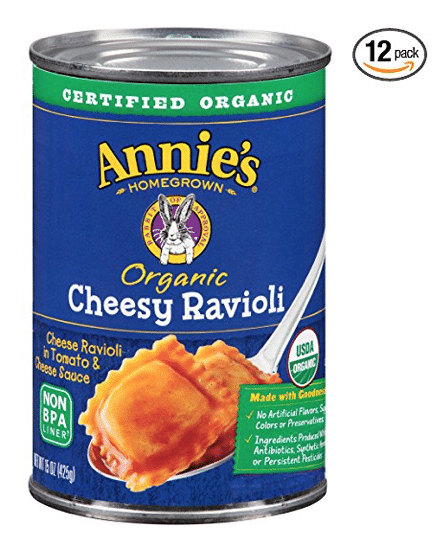 Stock up on Annie’s organic canned ravioli (in BPA-free cans) for a cheap price on Amazon! As low as $18.40 after coupon and 15% S&S, so just $1.53 a can! Cans of Annie’s organic ravioli sells for $2.29 at Target, so this is a great price! This would also make a great item to donate to a food pantry. You can also use this coupon on Annie’s bunny grahams, gf macaroni, bars and more if you prefer.